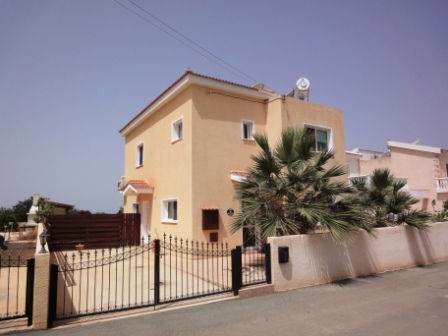 Cyprus Property Blog by Cleo : Bargain Price!! 3 Bed Villa in Peyia with Many Extras - NOW SOLD! • 160 sq. m., 3 bath, 3 bdrm 2 story - €265,000 EUR - Title Deeds - NOW SOLD! Peyia, Paphos, Cyprus - This impressive 3 bedroom detached villa is located in a quiet residential area of Peyia, which is a popular village a few minute’s drive away from the well known sandy beaches of Coral Bay. There are a wide range of amenities nearby, including supermarkets, shops, and a good variety of restaurants and tavernas.